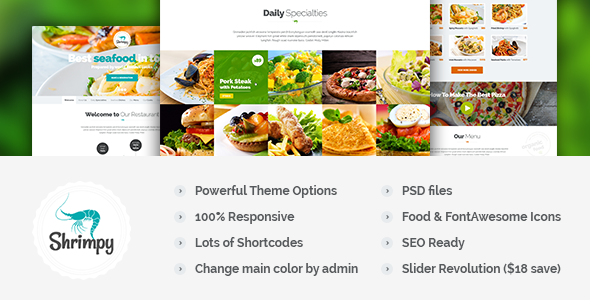 Shrimpy is clean, flat , and modern one page premium WordPress theme for Food / Restaurant websites. The template is ideal for bakeries, ice cream shops, restaurants, and any site related to food industry. Item Reviewed: Shrimpy New Responsive Restaurant WordPress Theme 9 out of 10 based on 10 ratings. 9 user reviews.